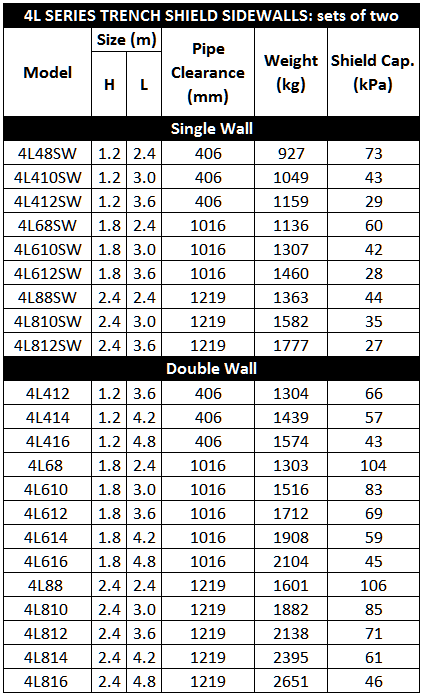 The 4L trench box is ideal for contractors who typically excavate to depths of 12 to 15 feet. This trench shield is modeled for the smaller rubber-tired excavators / loader machines. Utilizing special light weight materials, this trench box is ideal for repair / maintenance work. 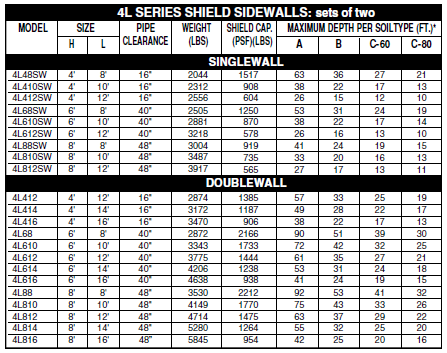 The 4L Series Trench Shield is not designed for continuous pipe laying duty. Care should be exercised when quoting this unit.